As Washington Post journalist Jason Rezaian has languished in an Iranian prison, his boss back home has grown increasingly vocal about what he calls "shameful acts of injustice" by the Iranians. Rezaian's trial, which is set to begin Tuesday, will be "closed to the world," Washington Post editor Marty Baron said Monday. "The trial date was only disclosed to Jason's lawyer last week," Baron added in a statement. "And now, unsurprisingly but unforgivably, it turns out the trial will be closed." Rezaian, the Post's Tehran correspondent, was detained along with his wife, Yeganeh, nearly a year ago. She was released, but Jason Rezaian has remained behind bars. He faces trial for espionage, but none of the charges against him are supported by publicly available evidence. 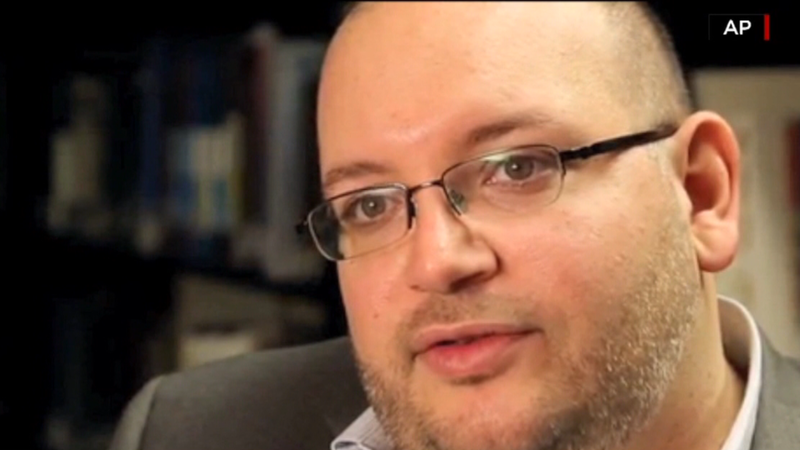 Journalists around the world have called for Rezaian's immediate release. The U.S. government, which is negotiating a nuclear deal with Iran, has called the charges against Rezaian absurd. Baron also said for the first time that the Post has been trying to secure an Iranian visa so that one of the newspaper's senior editors could be present during the trial, but the requests "have gone unanswered by the authorities in Tehran." A Post spokeswoman confirmed that the newspaper has no other reporter in the country to cover the closed trial. On Monday, Baron said that "Iran is making a statement about its values in its disgraceful treatment of our colleague, and it can only horrify the world community." A petition on Change.org titled "We request the immediate and unconditional release of Jason Rezaian from Iranian custody" has more than 430,000 signers. The Committee to Protect Journalists has been among the outside organizations calling for more transparency on the part of Iran. "Iran must end this travesty of justice immediately," Sherif Mansour, the committee's Middle East and North Africa Program Coordinator, said last week. "After more than 300 days of unwarranted detention, the least Iran could do is to release Rezaian on bail and grant his employer entry to the country and access to the legal proceedings."